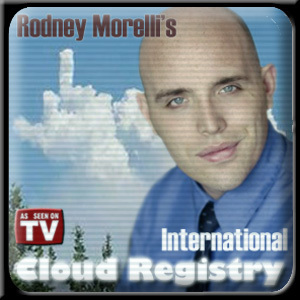 CASE HISTORY:Rodney Morelli’s International Cloud Registry can reserve, purchase, and gently name a cloud for you in less than 3 weeks. Available clouds include, but are not limited to: cirrus, cumulonimbus, elephantiasis, pityriasis rosea, and Golden Delicious; but supplies are limited, so act now. Rodney Morelli is a board certified and licensed hydro-hypnotist and a female body impersonator. This entry was posted on Monday, February 1st, 2010 at 12:02 AM	and is filed under Case Studies, Dr. McConville's Case Studies, Obsessive Compulsive Personality Disorder and tagged with Jeremy Carter, Julie Klausner, Mark McConville, Matt Gourley, Rodney Morelli's International Cloud Registry. You can follow any responses to this entry through the RSS 2.0 feed. Can I use the US Military Satellite tracking or Google Earth to track my cloud and know where it is at any moment? Thanks, Rodney, you’re the best!! Yes. Please call them – they don’t mind helping.